Politics • Gathering with church to be held after legislative session. 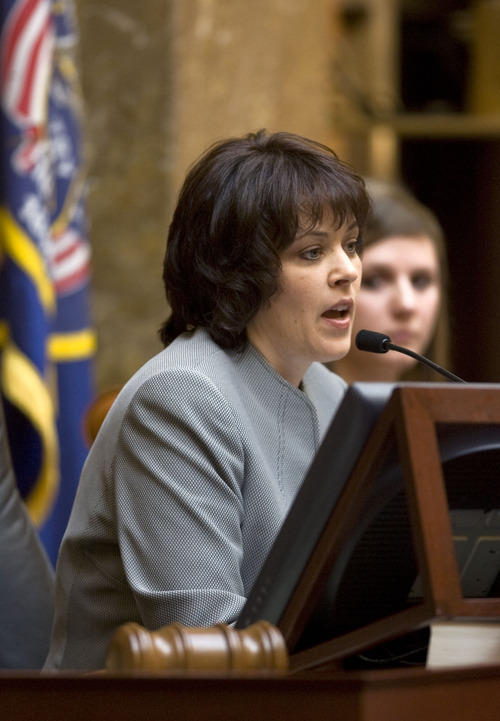 Al Hartmann | Tribune File Photo House Speaker Becky Lockhart, R-Provo. Al Hartmann | The Salt Lake Tribune Monday's night's light snow clings to the side of the beehive statues in front of the Utah Capitol Tuesday morning as sun and blue sky appeared for the second day of the 2012 legislative session. 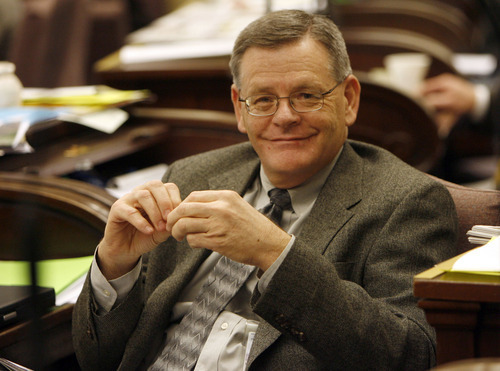 FILE PHOTO | The Salt Lake Tribune Senate Majority Leader Scott Jenkins, R-Plain City. 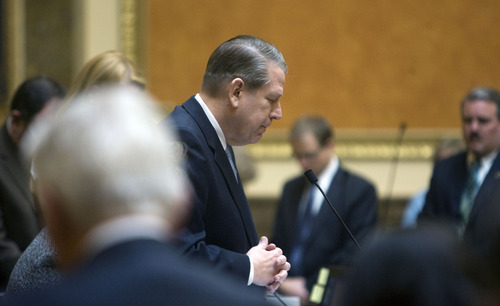 Al Hartmann | The Salt Lake Tribune Elder Donald Hallstrom a member of the Presidency of the Seventy of the Church of Jesus Christ of Latter day-Saints gave the opening prayer in the House to begin the annual session of the Utah Legislature on Monday. For the first time in decades, legislative leaders didn't hold their annual pre-session meeting with LDS Church officials, but the reason for the change in the practice is unclear. Senate Majority Leader Scott Jenkins, R-Plain City, said he thinks the change might be related to heightened scrutiny the Salt Lake City-based church is subjected to as Mitt Romney makes his presidential bid. "It surprised me. I really enjoy meeting with those guys. You don't get a chance to do it very often," said Jenkins. "They know they're coming under a fair amount of scrutiny this year. I think they worry about it a little more." He said the church also took some heat over its support for moderate immigration legislation last year, and may be trying to keep a low profile. The Utah Hospitality Association has also accused the church in a lawsuit of driving public policy on liquor-control issues. It is estimated that more than 80 percent of state lawmakers are members of the predominant faith. "It seemed odd, because there has always been" a pre-session meeting, said House Speaker Becky Lockhart, R-Provo. "But it is definitely the prerogative of the LDS Church to do it or not." Scott Trotter, a spokesman for The Church of Jesus Christ of Latter-day Saints, said the legislative luncheons are designed "to thank legislators for sacrificing time to serve the citizens and communities of Utah." "As a thank-you lunch, it seemed easiest to have it after the legislative session," Trotter said. The church has been the focal point of considerable attention during Romney's run for the Republican presidential nomination, as it was in 2008, when he gave a prominent speech addressing his faith. "My guess would be that they probably do view themselves as being under scrutiny for various reasons, especially since Romney is running for president," said Thad Hall, a political science professor at the University of Utah. But it shouldn't come as a surprise that church leaders meet with lawmakers. "They're an interest group like everyone else. If they want to meet with legislators, they should be able to meet," said Hall. "They're just like everyone else. They have a right to meet." Former state Sen. Mike Dmitrich, D-Price, who served for nearly four decades in the Legislature, said Democrats had met with LDS Church officials before every session going back to the early 1980s. He said Republicans had been doing it for years before that. Dmitrich said he enjoyed the meetings, which he described as social gatherings that occasionally touched on policy matters. That doesn't necessarily mean the church is staying away from issues at the Capitol. Two general authorities offered prayers to open proceedings in the House and Senate respectively. Church representatives have met with lawmakers to discuss proposed liquor reform. And the faith will likely once again be a player in immigration debates in the state. 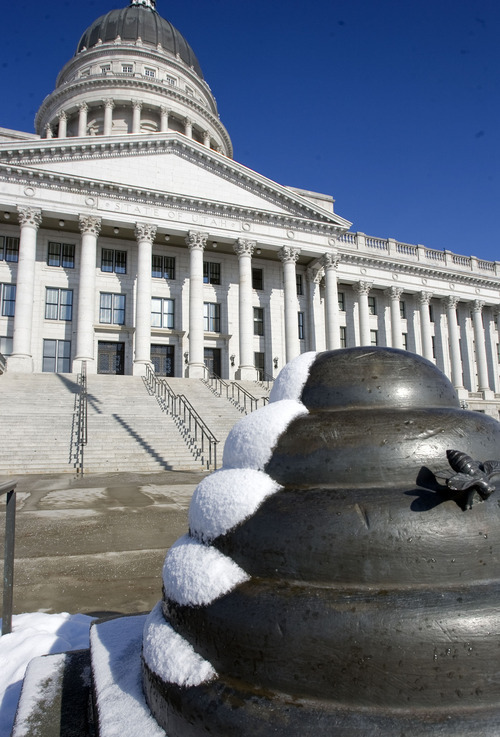 Utah Democratic Party Chairman Jim Dabakis said he thinks that the Legislature has become so conservative that it makes it uncomfortable for the LDS Church to meet with legislative leadership. "After so many of the Republican legislators slapped the church in the face in a way on immigration and some of these other issues I think they were less than respectful to the church," Dabakis said. "I believe the radicalization [in the Legislature] has made it uncomfortable for the church." Republicans dominate the Legislature, outnumbering Democrats by a three-to-one margin. Senate Minority Leader Ross Romero, D-Salt Lake City, said that he thinks the church offers valuable input on legislation, but recognizes the current sensitivity. "I certainly think that, as issues have moved forward, whether they be the LGBT issues or alcohol reform issues or immigration issues, there is probably a greater concern about mixing of religious conversations with legislative leaders," Romero said. "Although, I would point out they are a constituent just like every other community, so having their input, having the ability to know who to talk to, is important."